deans_cards has no other items for sale. 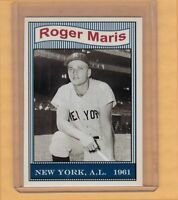 1961 TOPPS #20 ROBIN ROBERTS PHILLIES PSA 8 NM/MT CENTERED! $0.00 shipping for each additional eligible item you buy from deans_cards, when you use the cart to make your purchase. Payment is expected within 7 days from purchase.